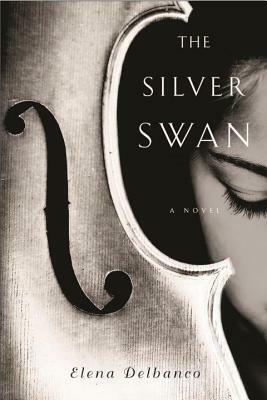 The Silver Swan By Elena Delbanco. Alexander didn’t entirely support his daughter’s goals. “Alexander would say that women were simply not as musically gifted as men—women were never meant to have important careers in music. They didn’t have the creativity or endurance. The life was too hard.” How awful for Mariana. As I was reading I thought that either there would be a clichéd plot turn that I expected or that there’s a truly sinister character and motive. Turns out both. The music coverage and the vengeance aspect worked. Various twists and turns produce a delightful, brisk page-turner. An angry, embittered Mariana refuses to be taken advantage of ever again. A woman scorned by her father and then by Claude after they embark on a love affair, she takes matters into her own hands and decides to enact revenge on both parties. She’s clever, resilient and a layered character. Most everyone can relate to Mariana’s dilemma. Readers will root for Mariana to succeed and adore every minute of it. This entry was posted on July 10, 2015, 17:45 and is filed under Books. You can follow any responses to this entry through RSS 2.0. Both comments and pings are currently closed.